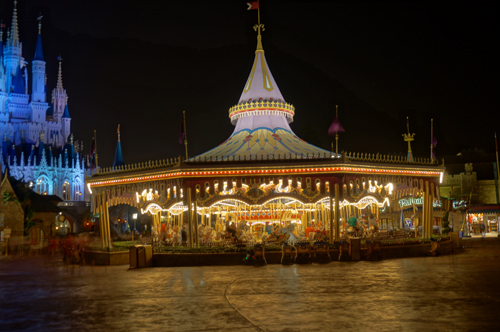 When Disney released the animated film Beauty and the Beast in 1991, it was every kid’s dream to be part of the fan fare that was a meal in Beast’s castle. 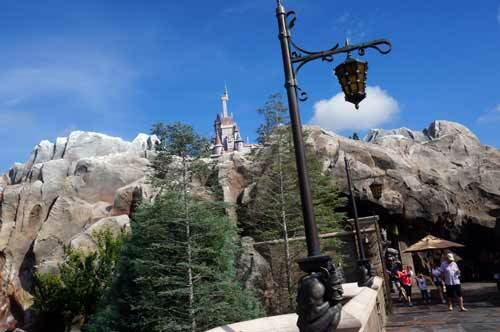 In 2012, Disney made this a reality when they opened Be Our Guest restaurant as part of the New Fantasyland expansion, which was later completed in 2014. The menu is French-inspired, and meals are served in three elegant and magical dining rooms including The Ballroom, where Belle and Beast danced in the movie, The West Wing, where the magical yellow rose is kept, and an Art Gallery with fabulous paintings and a seven-foot-tall music box. Mrs. Potts has also ordered that your meal be served on the finest China regardless of when you are dining with them. Beast’s castle is a fabulous place to dine! 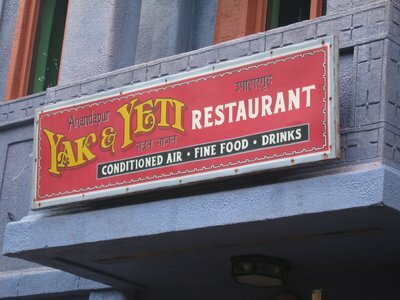 Because this dining location is still relatively new, and because it is one of the most unique dining experiences in Disney World, it is still very difficult to get reservations. 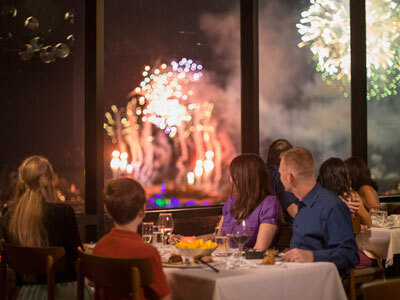 Disney resort guests can begin making advanced dining reservations 180 days before their trip, and it is essential that this one be on your list. If you can’t plan that far ahead, you can always check back daily. It is possible to snag a reservation at a later date, but it is much more difficult and requires more work on your part. 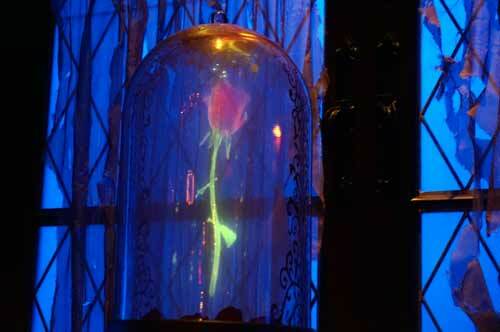 Behold – the enchanted rose. Lunchtime at Be our Guest is served quick-service style, but it is different from other quick-service restaurants in Disney World. You don’t have to wait in ordering lines. Instead, you place your order with the hostess, and while the chefs prepare your food, you find a table and get your own drinks and silverware. 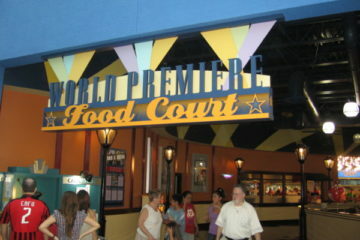 The servers will then find you using a little Disney magic and your MagicBand or a rose with the same RFID technology. After your meal, feel free to leave your dishes; the servers will clean up your table. 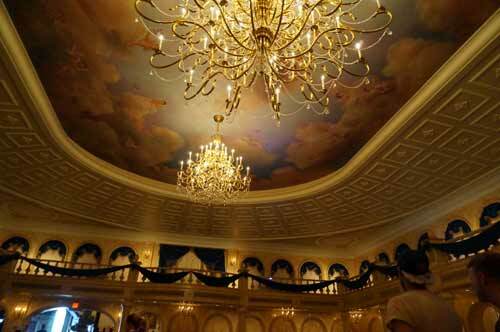 The Ballroom is one of three dining areas in which you can eat at Be Our Guest. The lunchtime menu, which includes French-inspired dishes, is delicious! Begin your meal with either French Onion or Potato Leek Soup, both of which are vegetarian, then add your entrée, which can be anything from a Quinoa Salad to Braised Pork Coq Au Vin. Finish it off with the Grey Stuff in the form of a cupcake. Dining plans are accepted. 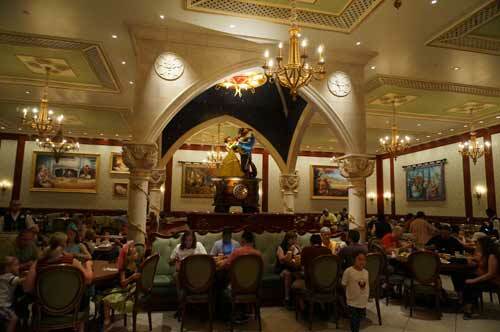 Lunch at Be Our Guest is usually faster than a table-service meal at the same time and the food is of similar quality, but it is often less expensive than a sit-down meal. Other quick-service locations might be less expensive, but you won’t get the quality and variety of food offered at Be Our Guest. As I mentioned above, reservations are required for dinnertime at Be Our Guest. Although it may be possible to get a reservation on the day of, this would be quite the stroke of luck and would only happen if someone cancels at the last minute. Be Our Guest feels like a fancy restaurant, but there isn’t a dress code. 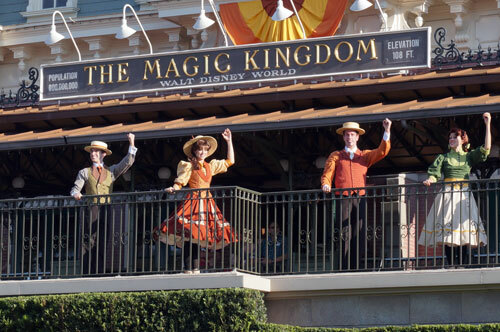 However, some people take this opportunity to dress up a little more than they would for a day in the parks. This is also an excellent opportunity to get your little princess to Bibbidi Bobbidi Boutique just before your dining reservation especially if she is a fan of Belle. The stylists will give her a makeover to look like her favorite Disney princess perfect for her photo op with the Beast in his Den later on. Unlike at lunchtime, dinner is a sit-down meal where the hostess will seat you and a server will take your order and bring it to you once it is ready. They encourage you to take a look around while you’re waiting for your food, but they ask that you hold off visiting Beast until after you’ve finished your meal. Be sure to check out all the rooms of the restaurant. Each is unique and beautiful. Dinner also comes with an expanded menu more appropriate for dinnertime in the French Countryside. Appetizers including the soups served at lunch, assorted meat platter, mussels, and two salad options. For your entrée, choose a strip steak, herb-crusted lamb, pan-seared salmon or chicken, shrimp and scallops, braised pork, or layered ratatouille. The Grey Stuff is served at dinner as well, but there are many other options including a lemon meringue, strawberry cream cheese, or triple chocolate cupcake, éclair a l’orange, or chocolate or lemon-raspberry crème puff. The kids can start their meal with a fruit cup or a garden salad then choose fish, chicken, meatloaf, or steak for a Mickey Check Meal or the Beast Casserole or Grilled Cheese and tomato soup. In addition to the food offerings, Be Our Guest is the only place in Magic Kingdom that serves alcohol, and it’s only available at dinnertime. Beverages include a variety of sparkling, white, red, and dessert wines, which can be purchased by the glass or by the bottle. French and Belgium beers are also available. 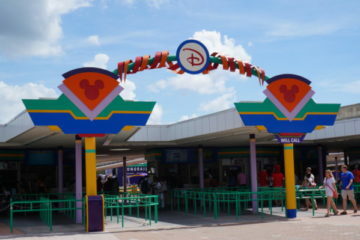 Keep in mind, though, that Magic Kingdom is still a dry park; therefore, you must finish your alcoholic beverage before leaving the restaurant. After you’ve finished your meal, feel free to visit Beast in his Den. He does not wander around like at a Character Meal, and he’s only present for dinner. PhotoPass photographers are there to snap a few pictures of your encounter. You’ll have to decide whether lunch or dinner is most appropriate for your family or group. Lunch is less expensive than dinner, but it is likely a little more costly than other quick-service options in the Kingdom. Dinner is more expensive, but the expanded menu and table-service style meal might be more your style especially if you have older children or a child that loves Beast. If you try to get reservations and can’t, lunch may be your only chance of seeing this beautifully Imagineered masterpiece of a restaurant. Do you prefer Be Our Guest for lunch or dinner?